How do you read a food label? What should you look for in a food label? 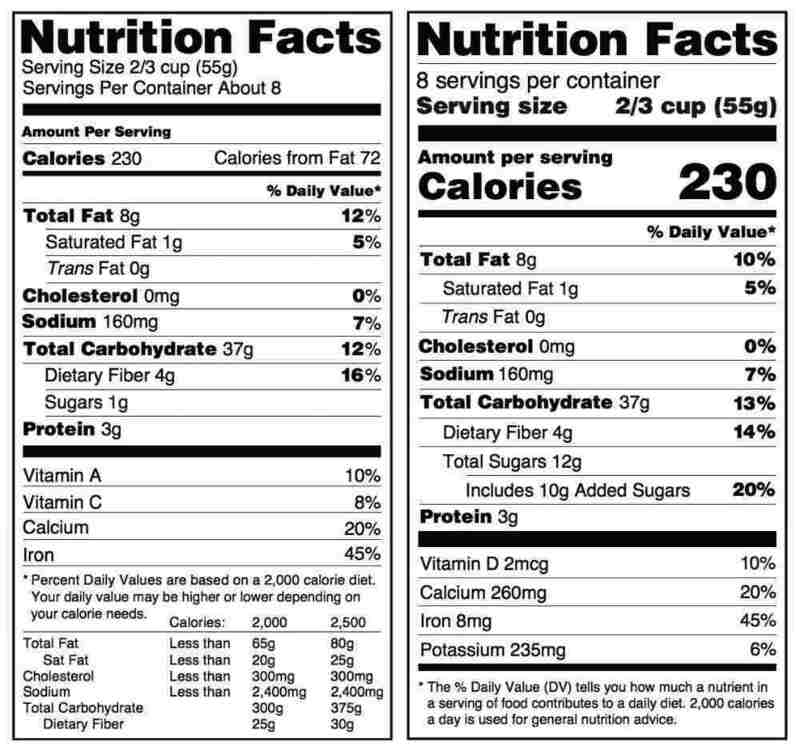 Follow the tips below - reading food labels has never been easier! From left to right: Example of an OLD food label and NEW food label. Ingredients There shouldn't be too many names you don't really recognize. Aim for less than 7-10. Serving Size Check out the portion size you're going to consume! Sugar Sometimes sugar is natural (like in fruit!) and sometimes it's added. Aim for less than 24 grams of added sugar per day for women and 26 grams for men. Added sugar will appear on new nutrtion labels! Total Fat This tells you how much fat is in 1 serving. Look for monounsaturated and polyunsaturated versus trans fat or saturated fat. Sodium This acts as a cost effective way to preserve and flavor. Want low sodium? Aim for less than 140 mg of sodium per serving. Protein It's very individual, but important for maintaining and repairing our body's tissues like our muscles! Calories Shouldn't be your top priority but they're important! For example, some foods are great for you, but not low in calories so watch your serving size! Vitamins These show a percentage for a normal 2,000 calorie diet. The new food label is coming, but look for calcium, vitamin A, vitamin C and iron. Vitamin D will be added.